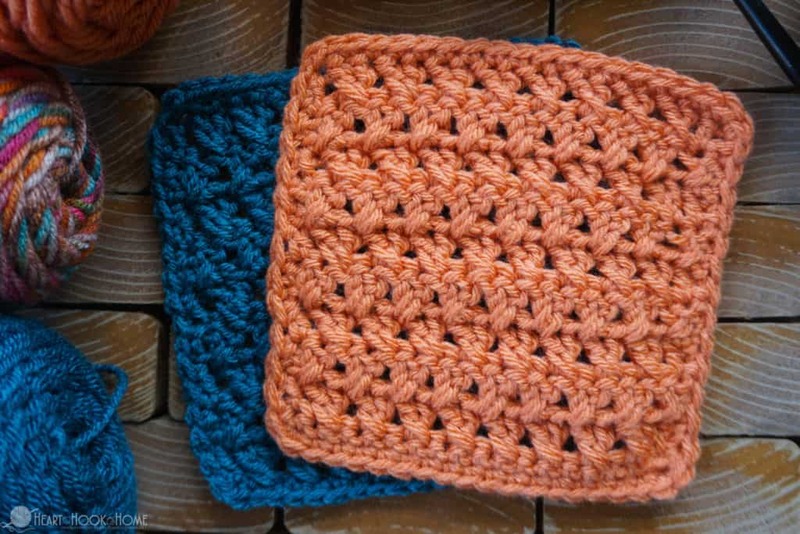 Add some texture to your next crocheted piece with the Crossed Double Crochet stitch. 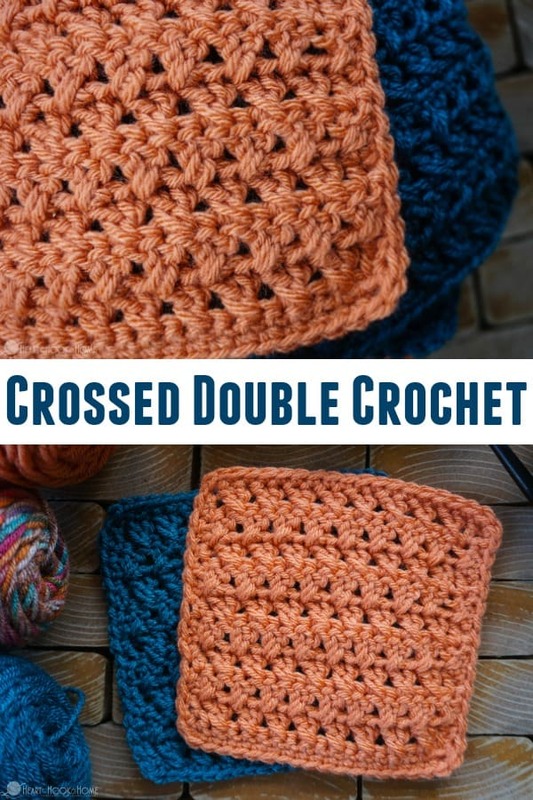 If you know how to make a double crochet, you can also make the Crossed Double! To make the crossed double crochet, you’ll skip one stitch and double crochet in the next, then go back to the one you missed and add a double crochet there as well. It sounds difficult, and the first few times you may get frustrated, but once you do it a time or two, this stitch is a breeze! I love that this stitch adds texture to an otherwise boring double crochet piece. We are using this stitch as one of the squares in Creighton’s Blanket, a free stitch sampler pattern found right here on Heart Hook Home. 1. Yarn over, skip the next stitch and insert hook into the following stitch. Pull up a loop. Yarn over pull through first two loops, yarn over and pull through last two loops. 2. In the stitch you skipped in number one, yarn over, insert hook and pull up a loop. Yarn over pull through first two loops, yarn over and pull through last two loops. That’s it! Like I said, it does take a bit of getting used to to go backwards into that stitch that you skipped, but once you do it a few times it will be second nature. I do find it helpful to flip the project up so that I can see the back side of the piece. This helps to ensure that the stitch is, in fact, going into the stitch you skipped and not the same you just worked into. Here’s a Crossed Double Crochet video tutorial that will help! Isn’t that just the easiest thing since… double crochet? I hope you’ll decide to make Creighton’s Blanket with me. You’ll make as many squares as needed for the size you’re wanting, then in part two we connect all of the squares and add the border. 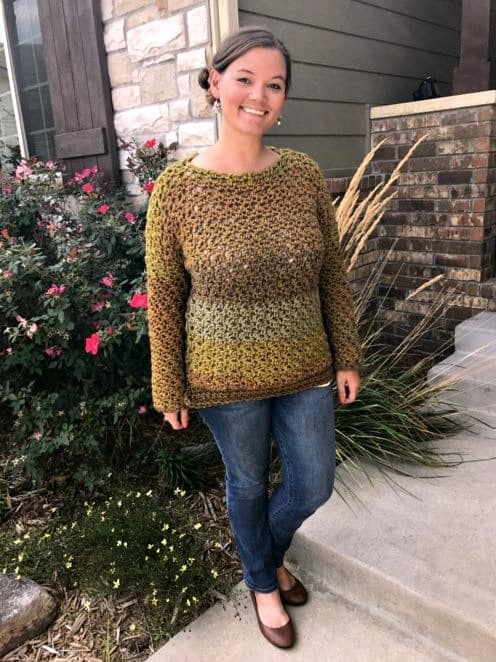 This would be an excellent stash buster pattern or baby shower gift!